Although Rosalía de Castro (1837-1885) was born in Santiago de Compostela, one of the places that marked her life was Padrón. A municipality in A Coruña, south of the Galician capital and on the border with the province of Pontevedra. Among other things, it was the birthplace of other writers such as the troubadour Macias O Namorado or Camilo José Cela. The writer lived in different towns and cities in Galicia and the rest of Spain such as Lestrove, A Coruña, Madrid and Ortoño, but she kept Padrón as an alternative residence in several moments of her life. His biography shows that she grew up with his mother (Teresa de Castro e Abadía) and her maid (María Martínez) in Padrón; then she moved with her to Compostela, where she lived her youth; and later she moved to Madrid, where she published her first book of poems La Flor and where she met and married Manuel Murguía. 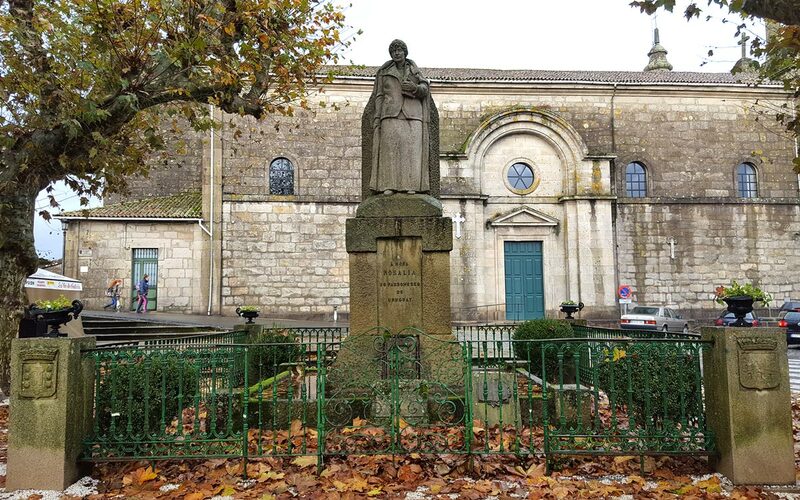 Today, you can get to know in depth the history of one of the most important writers of Galician literature while visiting this charming village just 20 kilometres from Santiago de Compostela. Beginning with the Casa Museo Rosalía de Castro (http://rosalia.gal/a-casa-museo/), a space dedicated to the life and work of Rosalía which, in addition to being today the culminating point of the Rosalía Route (http://padron.gal/ruta-rosaliana/index.html ), was where the author spent her last years of life. 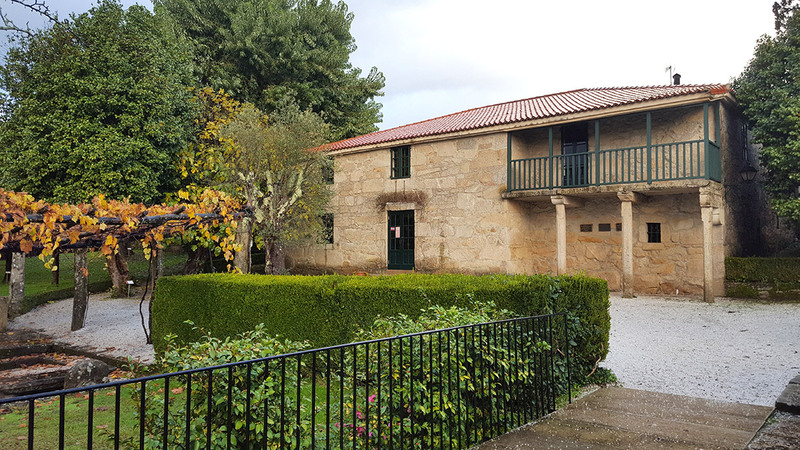 The museum, formerly known as Casa da Matanza and located only 1km from Padrón, was finally inaugurated in 1971 under the ownership of the Rosalía de Castro Foundation. Since then, more facilities have been added, such as ‘a Horta da paz’; or an annexed auditorium with capacity for 150 people that can be visited practically every day of the year. The church of Santa María a Maior of Iria Flavia is close by, within walking distance. 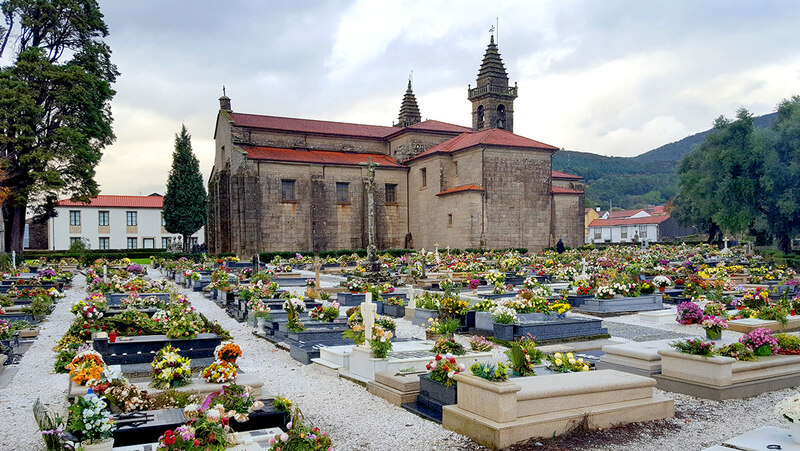 Ancient Episcopal See and considered one of the oldest in Galicia, it is strongly linked to the figure of Santiago Apóstol. It is also the church next to the cemetery of Andina, to which she dedicated one of his poems. Rosalía de Castro was buried here between 1885 and 1891, before being transferred to the Panteón de Galegos Ilustres in Santiago de Compostela. After passing through the most representative spaces of Rosalía de Castro’s life in Padrón, and a few metres from the house where she lived with her mother – of which only one plate is preserved – we cannot leave without paying the deserved homage to the writer in front of the sculpture in her honour on Paseo do Espolón. A stone sculpture that puts an end to a day dedicated to the maximum exponent of the morriña.